Led by sheer will, inspired by the late ‘King of Pop’ Michael Jackson and backed by SOS Children’s Villages Sri Lanka (SOSCVSL); Shane Manohara Rajapaksa, who is an SOS youth took the first step towards his dream career in music and, released his maiden single- ‘Wannama’, recently at the SOS Children’s Villages, Piliyandala. Speaking about this monumental moment in his life, Shane, said: ‘I have always admired Michael Jackson’s music and dreamt of becoming an artiste like him one day and I am excited to have this much appreciation and support for my ambition.I’m humbled by everyone’s positive reactions to the song and I hope to continue making and sharing my music with more people’. 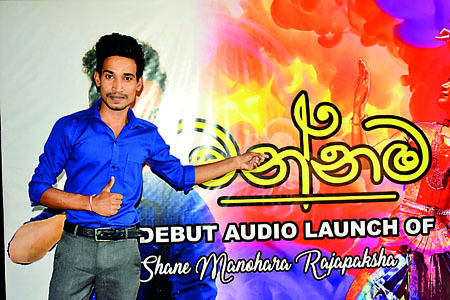 Joining SOSCVSL at the age of 10, Shane always grew up with the dream of performing in front of crowds and has already organised three concerts. Commenting on Shane’s achievement, Divakar Ratnadurai – National Director, SOS Children’s Villages Sri Lanka,said ‘We are extremely happy and proud about Shane and the steps he has taken to realize his dreams. He’s a great example of passion and dedication,which I am sure, will inspire everybody in the country.